A street utility tax was proposed and defeated, and more. However, due to an unexpected vote by Senate Democrats early Wednesday morning, the operating budget is now in jeopardy. And the state now finds itself in the middle of a session that seems without end. Senate Democrats, despite an agreement, withheld votes on legislation that would have suspended I-1351 (a class-size reduction initiative). The agreed upon bill, which passed the House with bipartisan support, needed 33 votes to pass out of the Senate. This required some Senate Democrats to vote for it. The practical effect of this measure not passing is the operating budget will eventually be out of balance by $2 billion. This editorial from The News Tribune, entitled “A monkey wrench from Olympia’s Senate Democrats,” objectively explains what happened. What these changes to the budget and the extended session will mean to restaurateurs is still an unknown. With a new budget hole to fill it’s likely that lawmakers will be looking for whatever taxes they can levy, or tax breaks they can end. Currently, are now understandably trying to get some rest. It does not appear they will come back until next week to try and resolve these challenges. Policies have consequences. In the case of President Barack Obama’s June 29 proposal for new overtime rules, the impact on restaurants could be enormous. Under the new rules, doubling the threshold for overtime eligibility, nearly 5 million additional restaurant workers and managers could gain eligibility for overtime pay. Restaurants would feel the effects of this rule change in a major way. 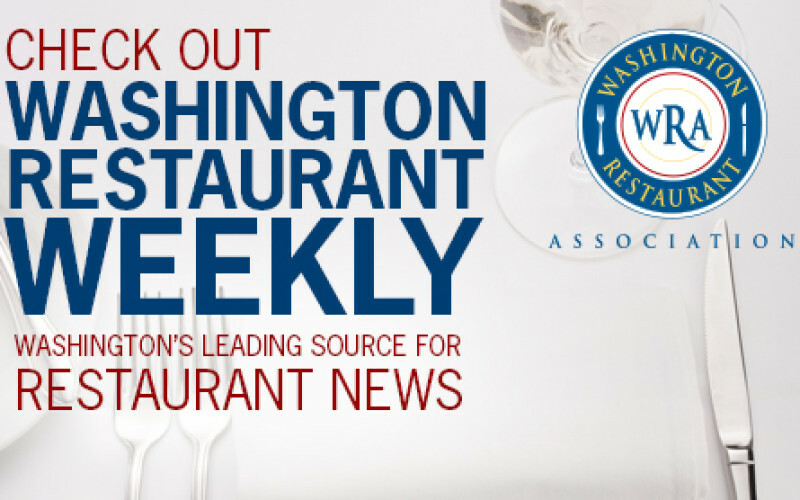 Read more… For more information, contact the WRA’s Julia Gorton. Proposal A is modeled after Seattle’s ordinance and has backing from labor groups, includes two pathways for different size businesses. Employers with more than 150 employees will get to $15, in 2020, while small business will reach $15 in 2024. This is more aggressive than Seattle’s model to reach $15 as a minimum wage, and in Seattle, a large employer was determined at 500 employees or more. Proposal B is a streamlined call to increase the minimum wage to $12 over the next four years. This proposal is backed by local businesses who heard the Mayor’s strong request for simplicity. This proposal is truly a compromise as businesses don’t receive any credit for additional types of wages (total compensation) unlike in the Seattle model. We encourage you to read the report to fully understand the differences and how this could impact your business. July 7, 5 p.m. City Council Meeting – Public hearing on the minimum wage report and recommendations. We anticipate a large turnout of $15 Now activists. July 14, 5 p.m. City Council Meeting – Final public hearing on the minimum wage proposals. The mayor anticipates taking final action by the Council immediately following the public hearing. Don’t miss this week’s DineNW radio show, now online. Andy Cook and Paul Schlienz interview Lance Brough, owner of the Kylie’s Chicago Pizza, in Seattle. Andy and Paul then chat with Jeremy Wildhaber, owner of Jeremy’s Farm to Table Restaurant, in Chehalis. REMINDER: The WRA’s Olympia office will be closed Friday, July 3, in observance of Independence Day. Have a happy 4th of July!